This beautiful floral Post Impressionist still life oil on canvas painting is by Belgian artist Rachel Baes. 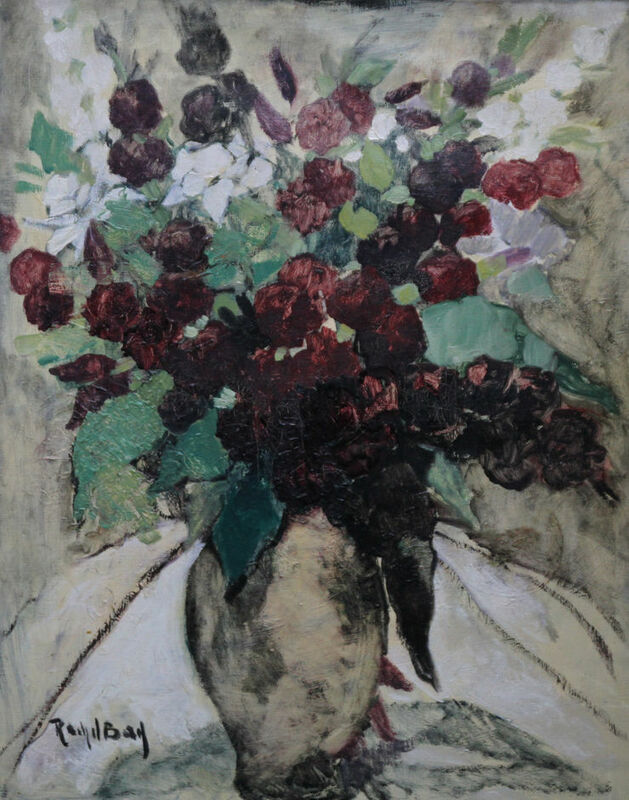 It was painted around 1929 when Baes was very focused on still lifes and may well have been part of her exhibition at the 1929 Paris Salon of Independents. The colours are set off beautifully by the fine silvered frame. Signed lower left. Housed in a fine silvered frame 46 inches by 36 inches and in good condition. Rachel Baes (1912-1983) was born at Ixelles in Belgium. 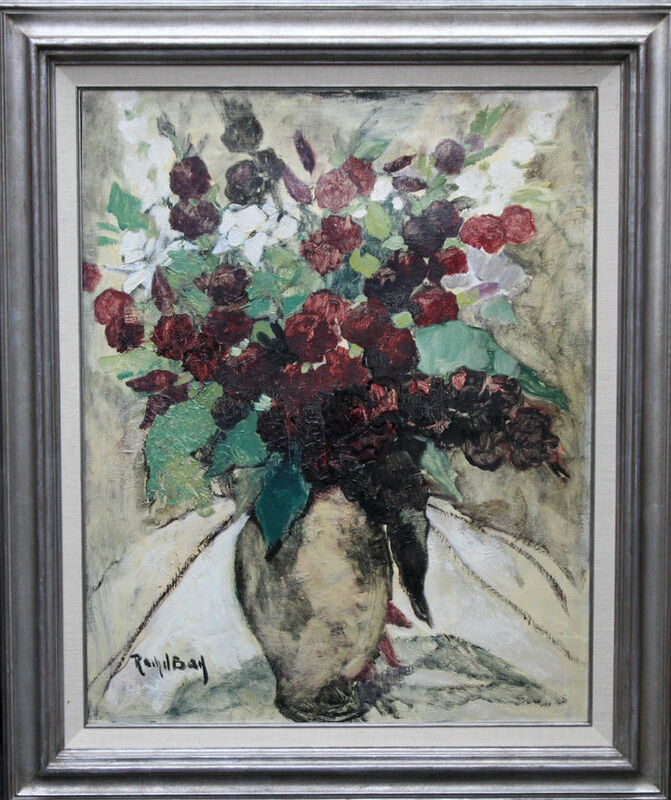 Her relationship with her father, the painter Emile Baes, was very difficult and this led her distancing herself from him, even going so far as to drop the capital letter of his family name. She was a minor figure in Belgian Surrealism, and though she had contact with the Brussels surrealist group she kept her distance. She began painting traditional still lifes and in 1929 had an exhibition at the Paris Salon of Independents, but in the early 1940s she turned to Surrealism. In 1945 she met Paul Eluard who kindly created a poem for inclusion in the catalogue of her first exhibition at the Galerie de Berri in Paris. Later she became acquainted with Rene Magritte who valued her work. She met Picasso, Jean Cocteau, Paul Léautaud and was supported by André Breton who directed two other exhibitions in 1953 and 1956. She settled permanently in Bruges in 1961 and created some paintings related to the city. Her naive style and subject matter is reminiscent of the American painter Gertrude Abercrombie but it is most unlikely that they ever knew of each others work. The growth of the women's movement in the late 20th century led to renewed interest in women artists and brought greater appreciation of her work. In 2002 the Koninklijk Museum in Antwerp featured Baes and Jane Graverol in an exhibition: voor Schone Kunsten.